Fresh off the festival circuit, wining both the Crystal Bear Award (Berlin Film Festival) and the Golden Wings Digital Distribution Award (London Turkish Film Festival), Night of Silence (Lal gece 2012) was written and directed by rising Turkish filmmaker, Reis Çelik. Known for documentary production, Night of Silence signals Çelik’s shift toward fictional dramas. Night of Silence is a bold artistic venture depicting the harrowing ordeals of a changing Turkey in pursuit of a national film identity. With its attention on the West and its heart in the Middle East, Turkish cinema has long since yearned for a distinctive identity. 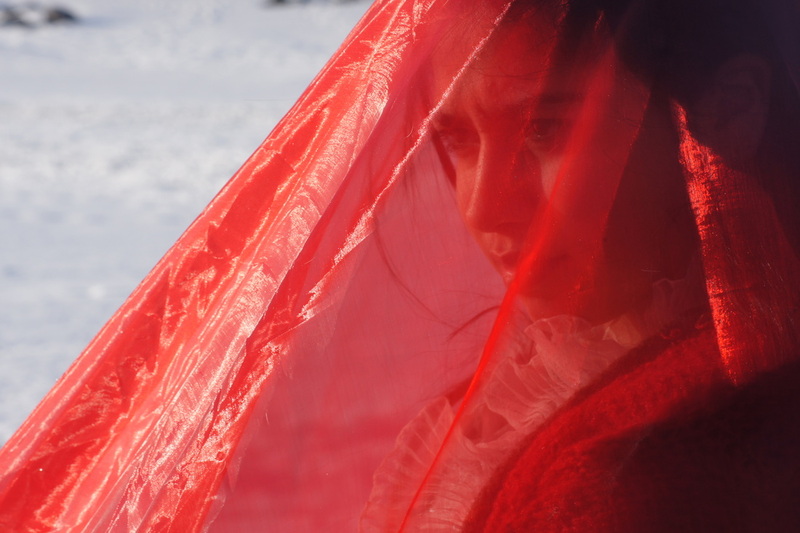 Recent Turkish cinema has turned toward the vast wilderness for introspection, best exemplified in the works of Nuri Bilge Ceylan with Distant (2002) and Once Upon a time in Anatolia (2011), and perhaps this gesture is motivated by a sense of belonging. 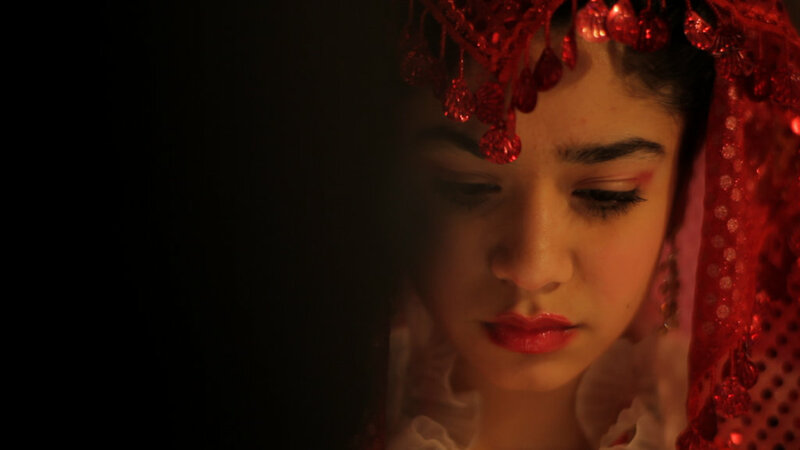 Turkish cinema appears to be searching for a distinctive aesthetic that articulates the beauty and power of Turkey, whilst housing its traditions and customs. Taking place during the course of one night and in one room, a marriage must be consummated to end an ancient family feud. When Damat (Ilyas Salman) returns to his secluded Anatolian village after spending most of his life imprisoned for murdering his mother and another man, he must marry the young and hesitant bride, Gelin (Dilan Aksüt), to safeguard his family’s honour. Following in the lines of traditions and custom, they enter the sacred bridal chamber where the night descends into an abyss of mystery. The remote village erupts in a vibrant ecstasy of celebration. Meanwhile a lamb is brought to slaughter: Gelin, the innocent beauty is forcefully rushed to the hands of a sixty-year-old murderer in the bridal chamber. From this chamber, the minimalist drama flourishes. The characters are the tools for driving the rather imposed narrative forward. The playful father/daughter chemistry between Damat and Gelin enhances the characterisation, making it all the more uncomfortable. Gelin, the hesitant beauty is revealed to be nothing more than an innocent child whilst Damat is a broken and blind follower of social conformity. One of the most memorable moments sees the comical removal of Damat’s moustache and ultimately symbolises the undermining of his authoritative masculinity, signalling a power shift between the characters. The power change is playfully foreshadowed by the prolonging of events, which enables the characters to really develop. Çelik’s characters appear to be totems used to critique the dated societal obligations of the time. The hesitant Gelin struggles in her conflict against conformity in a will-she-won’t-she scenario regarding her arranged marriage obligations. 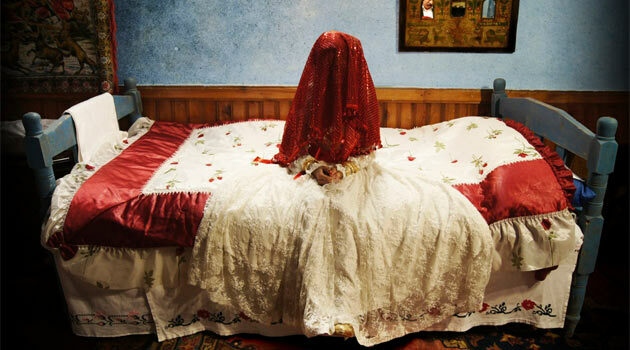 Her journey symbolises the hardships of women and the struggles imposed through traditions and customs. Similarly, the worn figure of Damat resembles the blind faith in societal obligations. The stark age contrast is perhaps a nod to the rigid conditions of tradition or an even emphasis on the changing times. 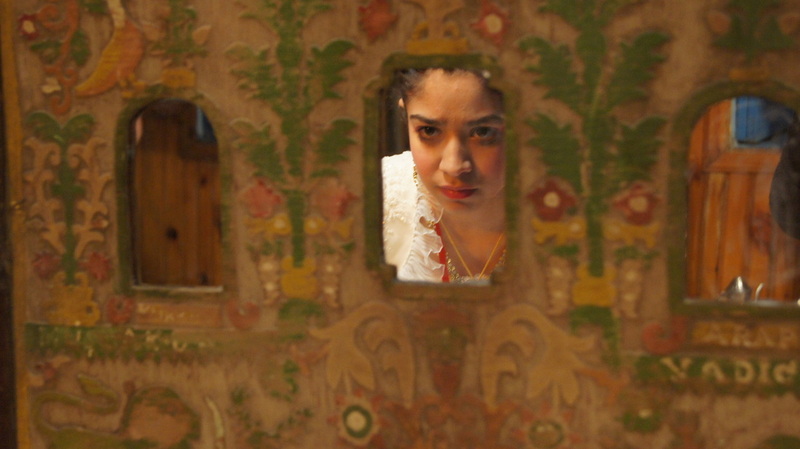 Çelik’s skill is displayed in the form of telling two tales in one. Gelin’s tale is a tale of transition: from helpless innocent to prevailing nonconformist with her rejection of tradition until the inconclusive ending. She resembles the hardships of women and the changing tide set in motion by the younger generation. Damat, on the other hand, embodies a depressing tale of an old conformist who blindly follows the herd. His soul is scarred by abstract memories of his mother and he is presented as a dishonoured character on account of his blind faith in tradition. As though in a vacuum, laconism pierces the air in Night of Silence. The performances are accentuated by powerful body language, which portrays the stalemate between the characters. Dialogue is kept minimal and the audio track is unblemished by a musical component, leaving nothing but body language to express the characterisations. Gelin’s hesitation to conform to her social obligation is told through her awkward and squeamish behaviour. Similarly, Damat’s distress is communicated in his constant movement back and forth between the window and the pillow that sheaths his only form of protection: his pistol. The narrative takes place in a single night of mystery. The imposing nature of this choice derives from the lack of any backstory and, as a result of an abrupt and inconclusive ending, an apparent lack of a resolution. Instead the story plays out like an imposed segment of time rather than a developed tale. The audience is rushed through any exposition at the beginning and immediately is deserted in a lonesome room where the imagination must conjure up the missing links. Rather than have a well-developed setup, Çelik strands the viewer in a box, leaving the characters with an almost blank slate to be judged upon. The greater distraction comes from the camera’s refusal to allow us access to the outside world. While this is intentional, Çelik leaves too much detail to the imagination and as a result it becomes too forceful at times. The audience is expected to fill in the missing links and make decisions and interpretations, detracting from Çelik’s overall authority and control of the film. The indecisive ending implies a weakness in the film’s storytelling; rather than give the story a rounded ending, Çelik allows it to be concluded by the echo of a gunshot. The narrative cradles a sensitive issue, but Çelik self-censors his work and resultantly wounds his craft. The lacklustre ending provides no closure and is evident enough of the absence of risk involved in the story. Regardless, Çelik manages to communicate such a powerful message in such a limited space. From a chilling graveyard to a quaint chamber, the composition has an artistic flavour. Çelik’s previous experience in documentary production is apparent in the disengaging shot choices, particularly aerials, creating a rift in the circuitry between audience and characters. The shots are soaked in colour; Gelin's beauty is vividly expressed in the form of a snow-white gown with a red headdress. Whilst the artistic endeavour enhances the setting, the composition often receives too much attention and distracts from the performances and story; the constant use of blurs at times prevents the viewer from revelling in the exceptional performances. The documentary-like construction is obtrusive and disengaging so that the distinction between fictional and factual constructions is not always apparent in the film. Çelik, however, embraces an artistic aesthetic to craft a beautiful canvas for the story to unravel upon. Night of Silence offers an interesting medley of art and characterisation. Whilst Çelik’s construction is evident of his skill and the potential of Turkish cinema, a greater balance in technique would make the film more engaging. Above all, the expressive and vivid performances grant the Turkish tale a sense of profound conflict and interpretation. Despite its flaws, the characters evolve seamlessly within the confines of the wedding chamber, which is testament to the strength of the performances. Çelik’s story harks back to a time of tradition and invites introspection and constructs a powerful message commenting on the changing time of a country in search of an identity and a sense of belonging.